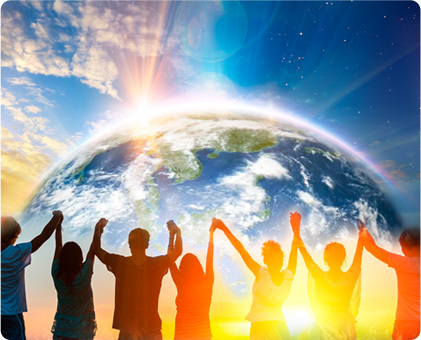 Join Spring of Sustainability online on April 22nd for the Telesummit in honor of Earth Day. The event kicks off with 12 hours of inspirational talks featuring 75+ green pioneers, innovators, activists, scientists, indigenous wisdom-keepers, business leaders, musicians, visionaries and YOU – to joyfully co-create a sustainable new world. The opening day will be followed by a free 9-week action program. In these times, it’s common to get overwhelmed by the crises facing our planet – from the destruction of forests, to the toxic chemicals in our products, to the bloodshed over natural resources. We need to find inspiration and partnership – and see that our contributions are making a difference. We’ll kick it off with the special Earth Day Celebration, where you will join together with others around the world and experience the beauty and interconnectedness of all life – and revel in all that is exciting and possible in this new era of sustainability. You’ll be enlightened and engaged by the innovative solutions and practices offered by leading sustainability experts and visionaries. And you’ll be inspired by stories of transformation and forward momentum, as well as uplifted by soul-stirring music and poetry. This will be an on line event where you will get inspired and learn about how we can change the world.